Developed in the 1950's, by Winchester as the .308 and NATO as the 7.62x51, as a standard for small arms, the original intention was to replace the .30-06 cartridge which was difficult for usage in semi-automatic rifles. Today, .308 (7.62x51) is used by long range shooters worldwide in semi-auto rifles, bolt actions and belt-fed machine guns. 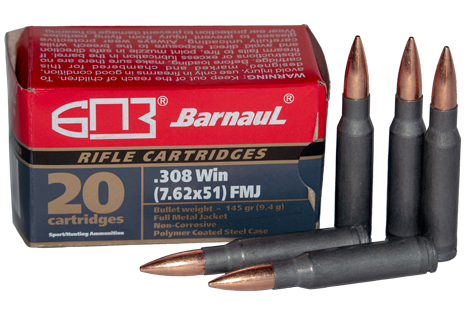 The .308 (7.62x51) offers excellent range performance along with superior terminal ballistics over calibers of similar dimensions.